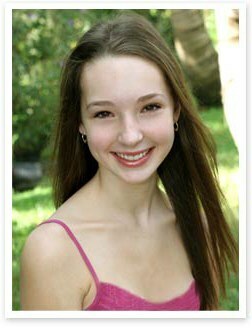 Eighteen-year-old Sabrina is an accomplished dancer with a repertoire of different styles and a demanding practice schedule that keeps her busy four hours a day, six days a week, at two different dance schools in South Florida. The only thing that’s ever slowed her down is her bad knee, but not for long. Under the care of orthopaedic surgeon Randy Cohen, MD, she has recovered by leaps and bounds. An X-ray determined the source of the problem: two small bone fragments that were embedded next to her kneecap, causing abrasion and discomfort. Dr. Cohen scheduled her for surgery to remove the bone chips and tighten the tendons on the side of her knee, which had stretched out like a weakened rubber band. As a dancer, Sabrina needed those tissues to move or “track” with utmost precision so that she could perform confidently and without risking injury. After the operation, Sabrina’s leg was kept immobile for two weeks in an adjustable brace. During week three, Dr. Cohen adjusted the brace to increase the motion in her knee, and every week thereafter he adjusted it until week six, when the brace was removed and Sabrina could exercise her knee in physical therapy. A dancer since the age of 4, Sabrina hopes to turn pro after she finishes school. Whatever the future holds, she and her family know that they can count on Dr. Cohen to help keep her in top physical form. In addition to treating her knee injuries, he has also treated her over the years for less serious conditions, including tendonitis and bunions. Her older sister, Ashley, has gone to see him too. “I’ve been seeing Dr. Cohen since I was 8, so we have a good rapport. He makes me laugh,” says Sabrina.